Now there is this fun looking Star Trek Road Trip Car Sun Shade that would be great for any Star Trek fans. This sun shade is foldable to that you can easily store it when you are not using it. On the sun shade, it shows the cast of the Star Trek original series while they are going on a road trip and Captain Kirk is at the wheel with Spock besides him. 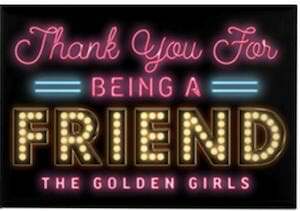 It is just funny to have this at your car window on a bright sunny day as people will see it on your window when you are parked somewhere and that will bring some smiles. And most importantly this sun shade will help to keep your car cooler as it will block the sun from entering your car. Get your car an upgrade with this Wonder Woman Car Sun Shade. Now you can park you car in the sun without worrying to much about making the car way to hot. Just unfolded the sun shade and place in in front of your car window and then everyone can see that you like Wonder Woman as it has the famous yellow Wonder Woman logo on it and behind it many Wonder Woman pictures including her name and more logo’s. The sun shade is just made to keep your car cool and to have a bit of a personality and as you can fold it down it easily stores in your car behind the seat or in the trunk. 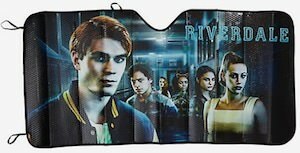 If you like Riverdale and like to keep your car cool then you should check out this Reversal car sun shade. The sun shade can be easily placed in front of your front window and on the sun shade you can see many of the cast members of the Riverdale TV series and it does say Riverdale too. And when not in use just fold it down and store in in the back of your car ready for when you park in the sun again because it looks to much fun for not using it to block the sun from your car. If you want a fun car sun shade and like Rick and Morty then you should check out this drinking Rick car sun shade. The car sun shade is easily foldable so that it takes little space in your car when not in use and it is always ready for use. On the sun shade you can see Rick and Morty in the space ship and Rick seems to be on a bender as he is drinking a lot while behind the wheel while Morty does not seem to happy about that. Now when you car is parked in the sun it looks like it is a true space ship all thanks to this sun shade. If you like your car when it is not to hot and you like Louise Belcher from Bob’s Burgers then you should check out this Louie car sun shade. 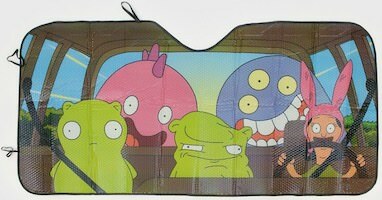 The foldable car sun shade is just fun to have in your car because it makes it look that Louise is driving your car and Kuchi Kopi is sitting next to her and there are some other creatures in the car too. 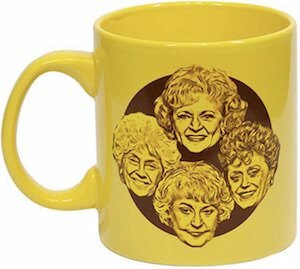 So now not only will you car be cooler because the Bob’s Burgers sun shade will block the sun it also will look funny because of the print on the car sun shade. 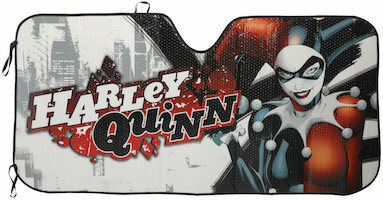 We all know that the sun makes the car way too hot but now there is this Harley Quinn car sun shade and that means that the DC Comics villain will keep your car cool when it is parked. The sun shade is an accordion car sun shade and that means that you can fold it down when not in use. On the front of the shade, it shows Harley Quinn on one side while her name takes up most of the rest of the space and you can see a city in the background. So now park your car in the sun and place the Harley Quinn sun shade and you are coming back to a way cooler car. 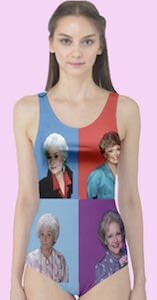 If you like Star Trek and especially the original series then you need this Star Trek bridge car sun shade. Just imagine how cool it would be to have this car sun shade on your windshield and then people see your car parked and see the bridge of the Enterprise with the cast staring at them. And you do know that this also means that your car now will be the Enterprise spaceship. The foldable sun shade is just perfect at blocking the sun and with that keeping your car cooler while making it look super cool to Star Trek fans like us. If you are a fan of Captain America with a car then you really need this Captain America shield car sun shade. The foldable sun shade is kinda boring gray with what looks likes broken glass and it is broken by the shield of Captain America and that makes it look really cool as the shield look amazing. So no need to make your car heat up by the sun hitting your windshield when you are parked because this sun shade will solve all your problems and makes your car look so amazing when parked as the shield will look stunning to everyone that walks past your car.